Art is personal, that we understand all too well at Artbol.com. The Artbol voucher gives you the freedom to choose from our entire collection. When you choose one of our three giftcards below, this will be send by email to your chosen recipient. 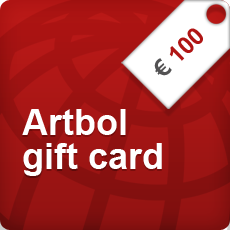 Each voucher contains a unique code that can be entered in order to Artbol.nl. Choose your desired amount and surprise someone today with the largest collection of art prints, posters, paintings, art blocks and framed art.